You want to get the version that includes “and other writings”, because some of these are very valuable. You can click on the image of the book to be taken to the right version at Amazon. 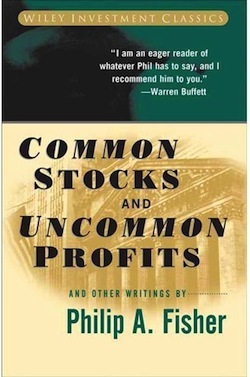 In 1958, one of the most influential investors in history, a man by the name of Philip A. Fisher, published his masterpiece, which you can still get today. Unlike virtually all other voices in the financial markets at the time, Fisher proposed that an investor should find a handful of really high quality firms, pay a reasonable or fair price, and then hold them as long as possible. These better-quality companies, Fisher argued, had an intrinsic value that grew over time. Instead of worrying about how to find a cheap bargain and then dump it later, you just had to find the type of companies that would be making considerably more money in 3, 5, and 10+ years. Fisher believed that an investor should be exceedingly selective in the assets he allowed on his balance sheet. 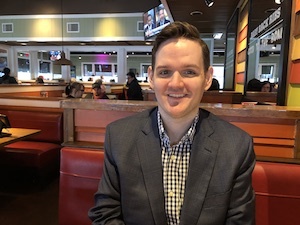 Although this might make it difficult to build a portfolio in the short-term (not all great businesses are attractive on valuation at any given time), by focusing on a few dozen metrics that matter – which he breaks out in detail – he thought it possible to identify companies that had staying power. Fisher’s perfect investment world looks like Quincy, Florida, the town of secret Coca-Cola millionaires. I re-read this book every few years. I cannot recommend it highly enough. It fundamentally, radically reshaped the way I thought about acquiring assets very early in my life. When you buy the book, you want to get the version that includes “and other writings by” because this edition has some great essays on evaluating the research and development budgets of certain types of firms, as well as how to think about selling a stock. There is nothing in this book that I can improve upon nor that I can disagree with off the top of my head. I will require my children to read it. To be blunt: I very rarely endorse something without reservation but Common Stocks and Uncommon Profits really is one of the best books on portfolio management and investment selection that has ever been written.